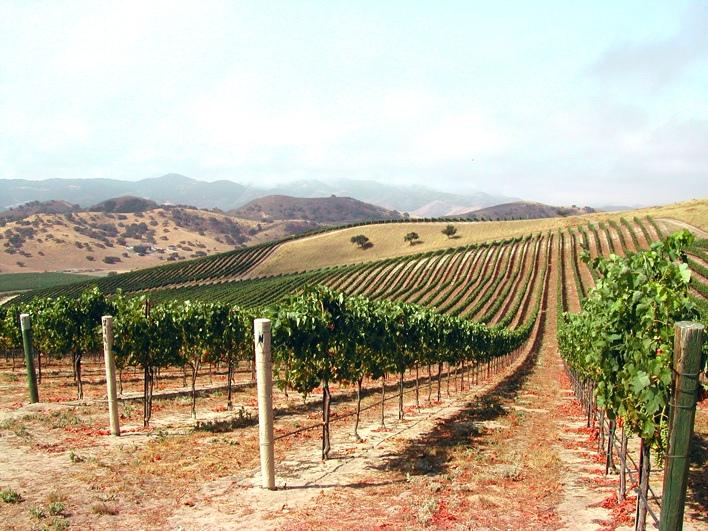 Exploration of the great variety of the unique climates of Santa Barbara County and Ojai. 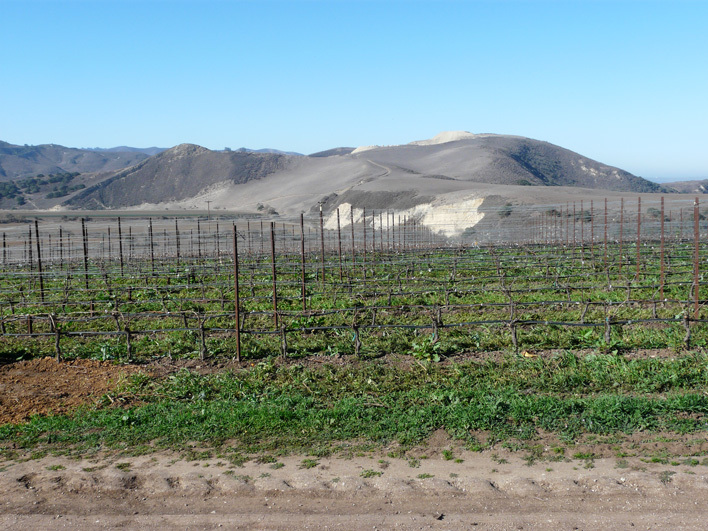 Martin Ramirez planted Barbera clone 6 for me in this relatively new vineyard in Upper Ojai. 2014 was the first crop for the Barbera and it was obvious from the start that this varietal was a great match for this warm climate spot. 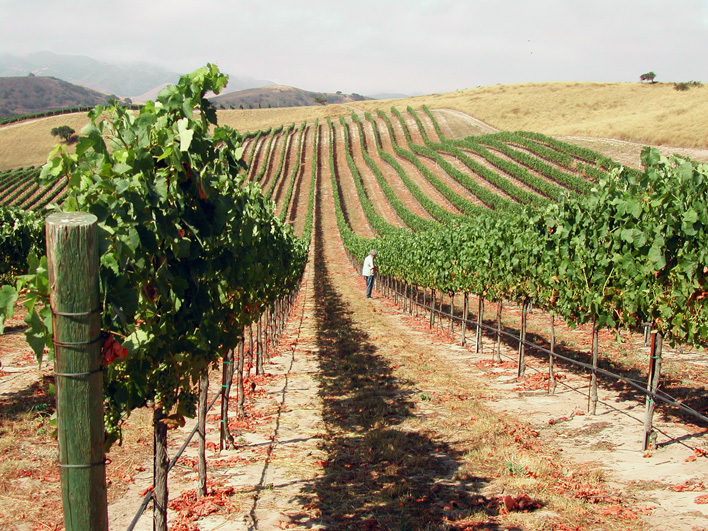 White Hawk vineyard produced its first crop in 2000 and the wine we made from those grapes was so bizarre that I chose to blend it into our Santa Barbara County bottling. The unusualness of its expression of syrah scared me that year, but I began to understand it a bit better by 2001 when we begun bottling it as a single vineyard wine. 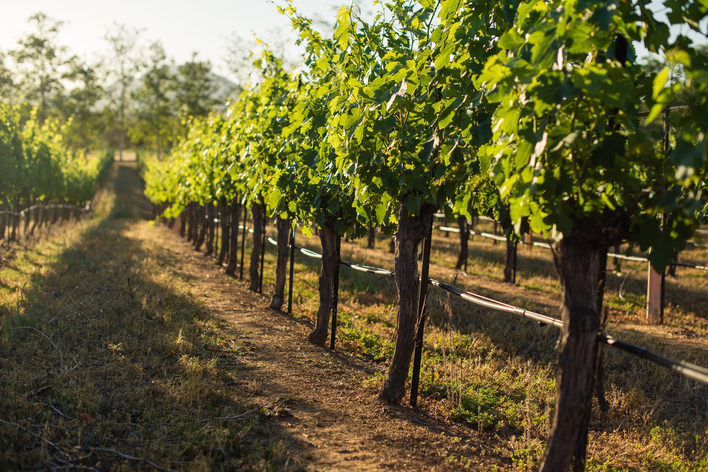 What I didn’t understand at the time was that great vineyards have large personalities and nobody has ever made a great wine from a vineyard that is pleasant and innocuous. This was an important lesson to learn, and it has been great fun to see White Hawk’s fascinating iodine and seaweed aromatics express themselves through the vintages. 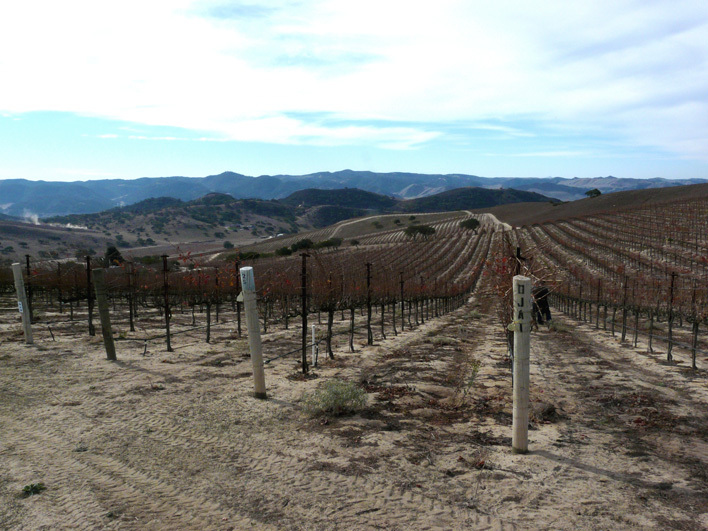 The vineyard is planted on hillsides of pure sand in Cat Canyon near Los Alamos, California. 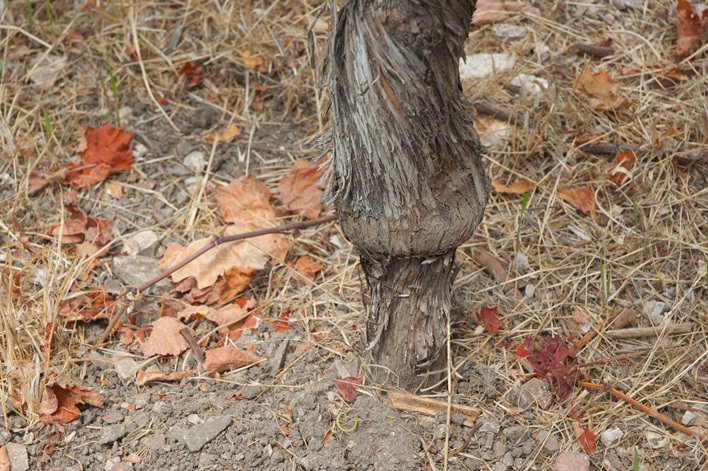 The Syrah vines struggle to survive, since sand can hold neither nutrients nor water well. The production is absurdly low, making them some our most expensive grapes. 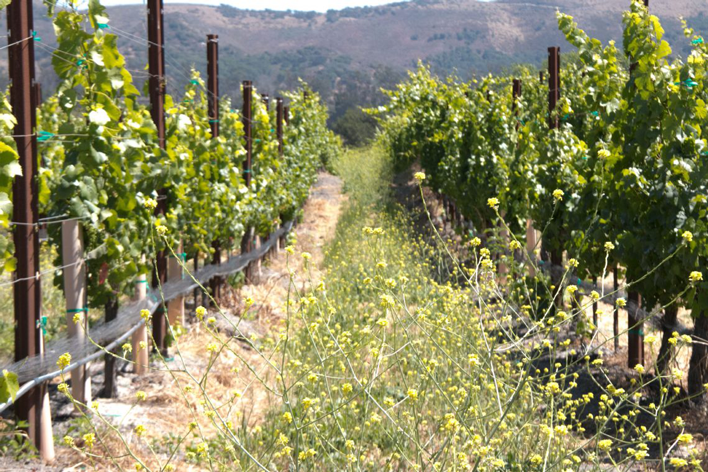 The wine that’s made from this spot is as unique as the vineyard looks. There is an intense but lovely red berry fruit character followed by an intriguing seaweed-iodine spiciness–this aromatic association perhaps because the soil here is an ancient seabed. In any case, it’s quite unique. The tannins are copious, but super fine textured. The climate is just cool enough that we never have to worry about the acidity level of the grapes, there is always a zesty tang that keeps this wine lively. 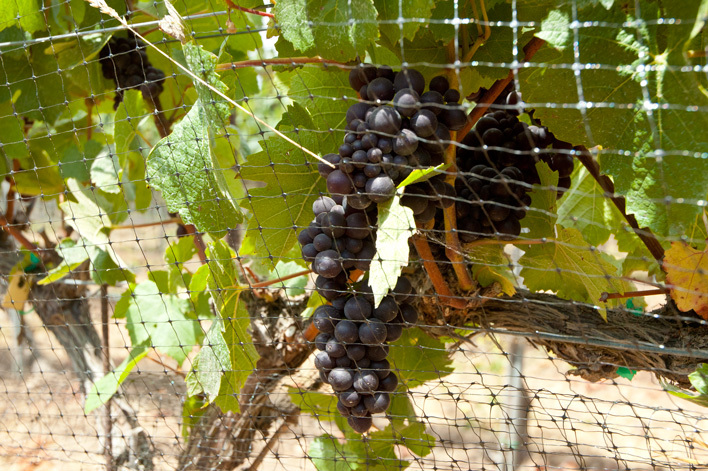 Syrah and Grenache one of our Favorites! 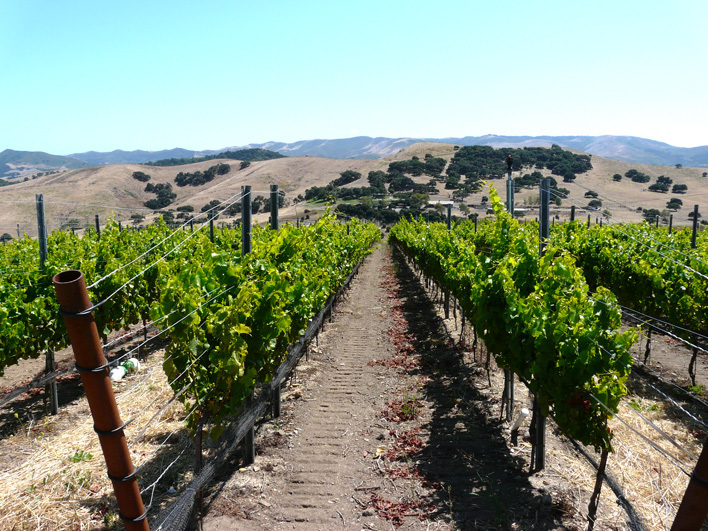 John Sebastiano Vineyard was planted in 2007 and produced its first crop in 2010. 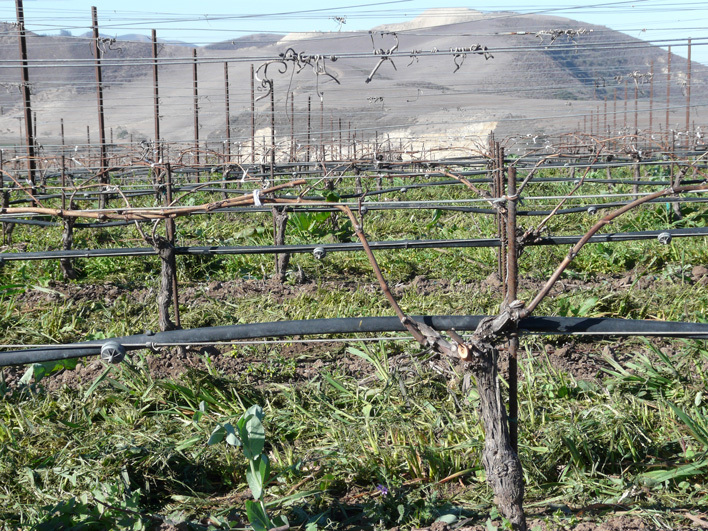 It is located on the northeastern edge of the Santa Rita Hills appellation way up in the hills so it catches the ferocious winds that come in from the ocean at Vandenberg Air Force Base. 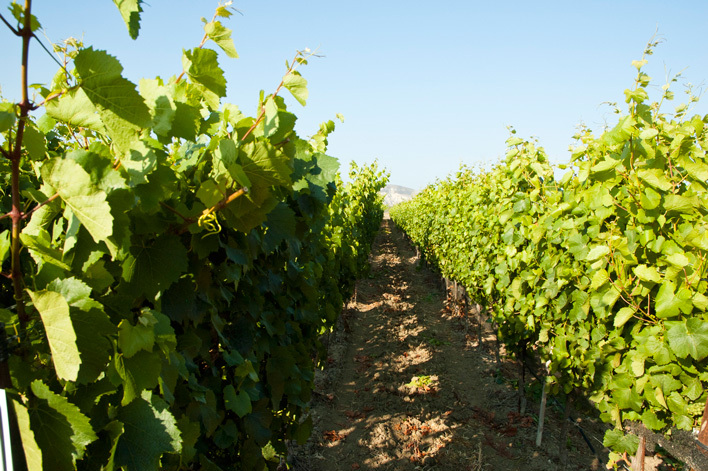 The vineyard is predominantly inside the appellation and mostly planted to pinot noir, however there is some syrah and grenache planted just outside and that is where we get our fruit. 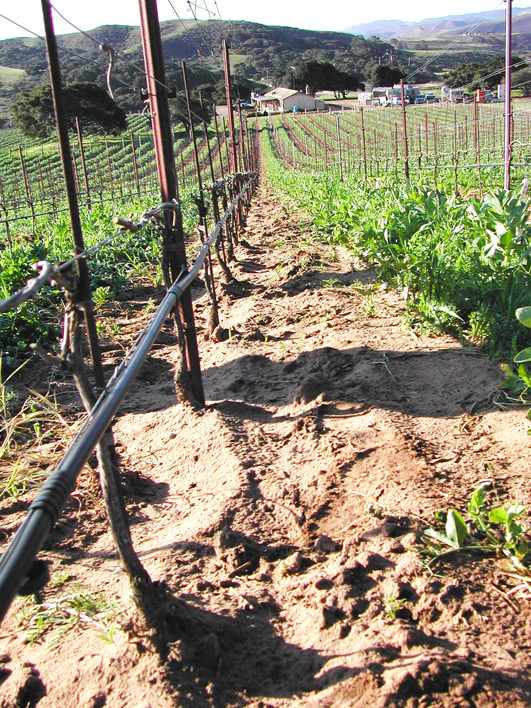 The vines were planted on a steep southern slope and the soil has quite a bit of clay with some shale-y bits that pop through here and there. 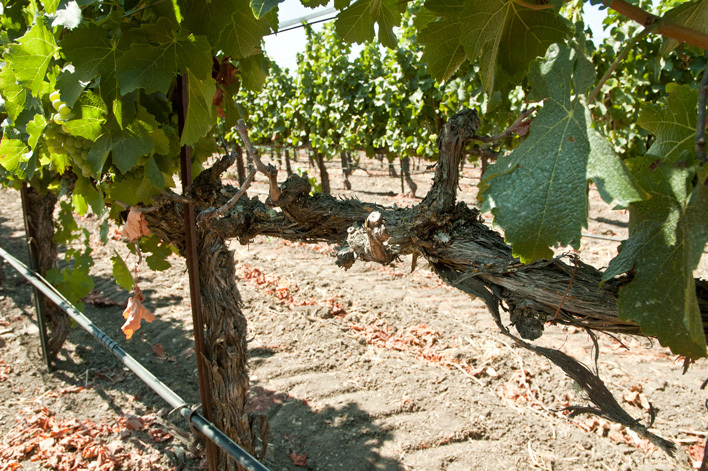 The vines struggle to develop a full canopy of leaves and the fruit ripens late in October or early November, but each year the wine possesses a knockout aroma of crushed raspberries with a solid structure of tannin and acidity. 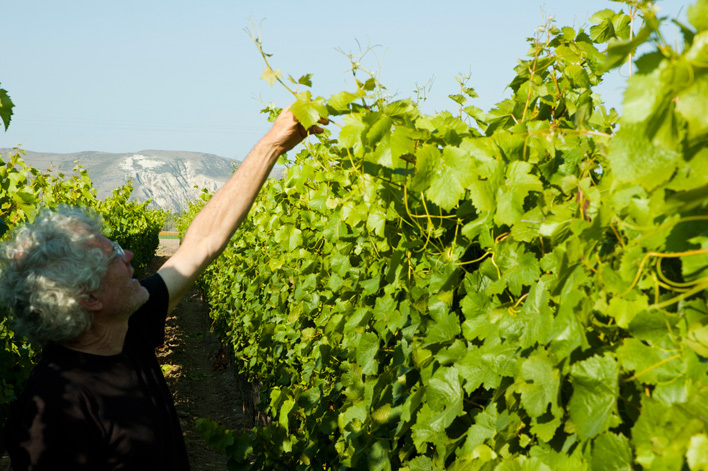 Vineyard manager Ruben Solorzano pays attention to every detail, which is good because grenache is finicky. 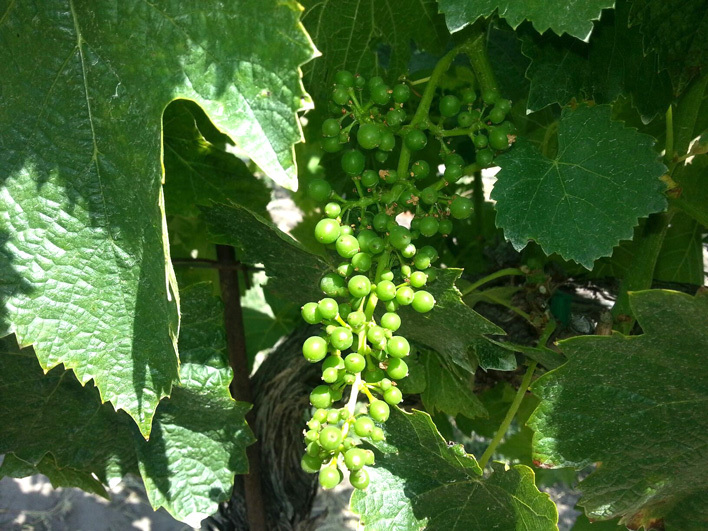 Assuming flowering goes well, grenache produces clusters that are so big that they need to be individually hand trimmed in order for the fruit to mature evenly. 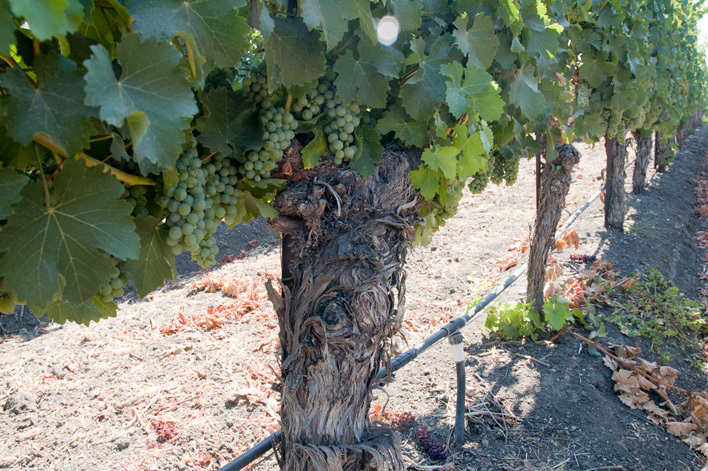 Also, the clusters become bleached if they receive too much sunlight, so Ruben trains the vines in a way to encourage just the right amount of shading. This extra effort really shows in the finished wine, as each year the color of the wine is dark and the flavors are impressive. 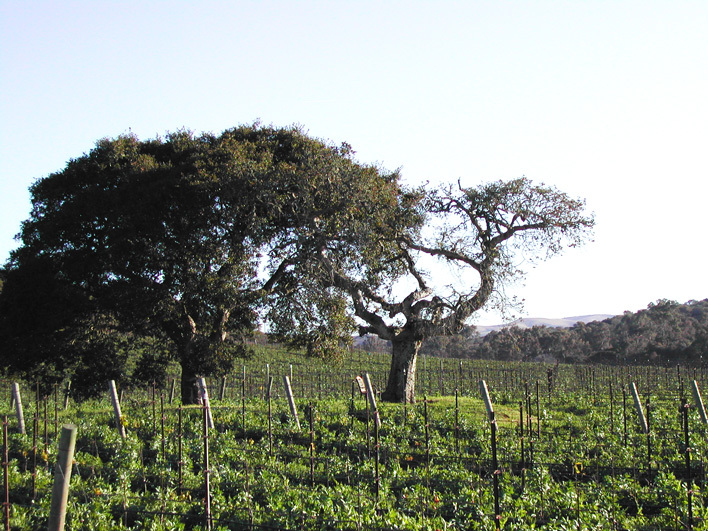 This vineyard has produced wines that are imbued with what can only be described as dramatic personalities. 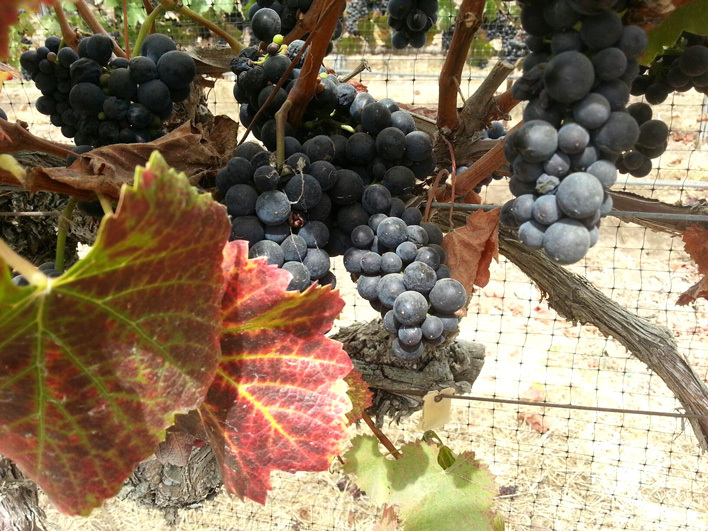 Planted on the climatic edge where the vines barely ripen their fruit, the structure of this grenache is different from what I have seen elsewhere in California, or for that matter from the southern Rhone or Spain. 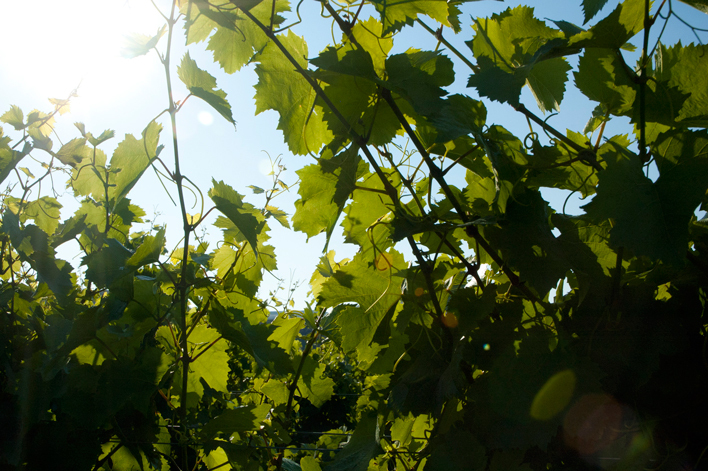 The wines are simply fresher and more alive. 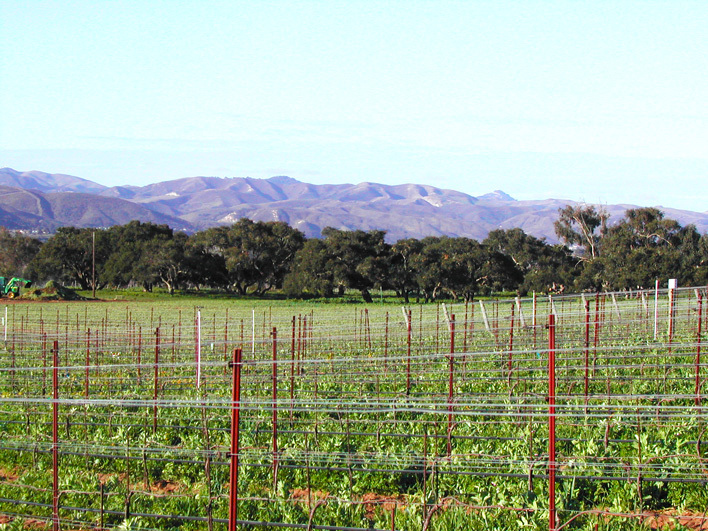 Melville’s Santa Rita Hills vineyard site is situated in the cool Santa Rita Hills area, and the climate has a profound effect on the character of this wine. 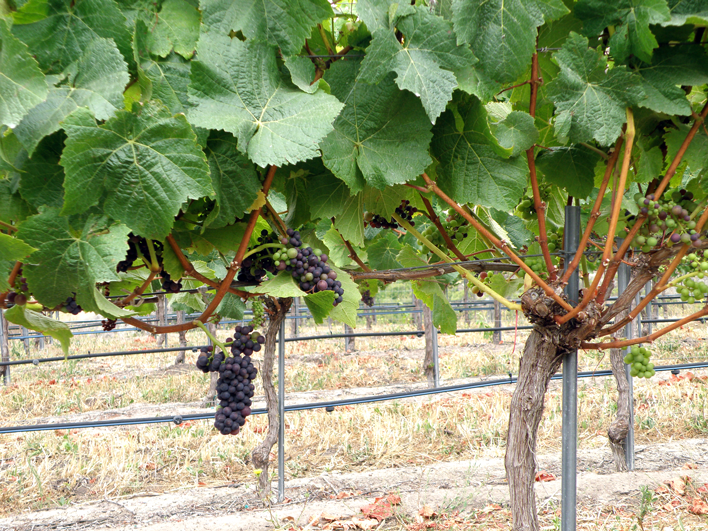 There are peppery, spicy and floral notes that you never see in syrahs from warmer vineyards. 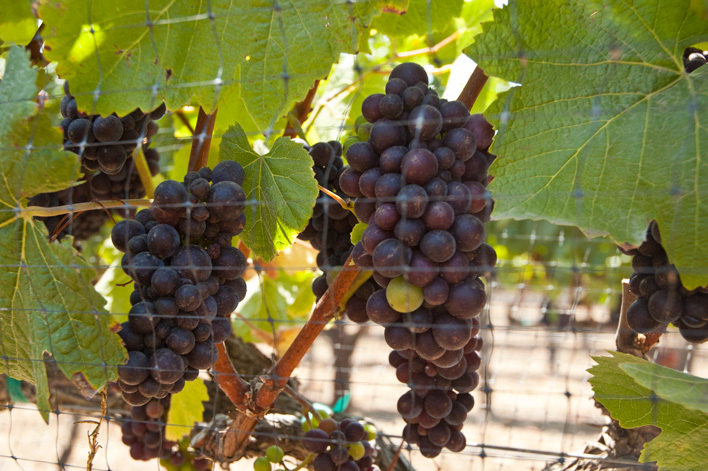 We use some of our edgiest winemaking techniques with this wine because the raw material demands it, and its potential would not be realized if we used more conventional methods. And, while we are big fans of low yields in the vineyard, in this case we have no choice because we couldn’t consistently ripen the syrah here unless we kept the crop small, as it is harvest rarely occurs before the last week of October. 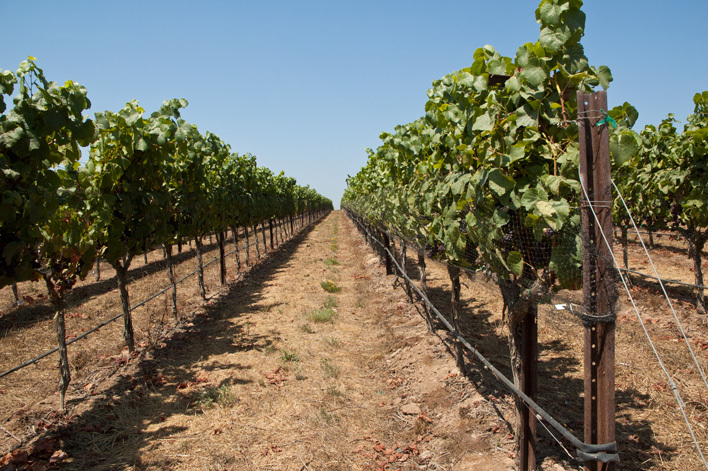 Winemaker Rick Longoria lovingly farms this terrific site and generously allows us to purchase a small portion of his vineyard’s production. Rick and I agree that there is only a moment in time when the character of the vineyard fully expresses itself. Picked a couple of days too soon or too late and all is lost. 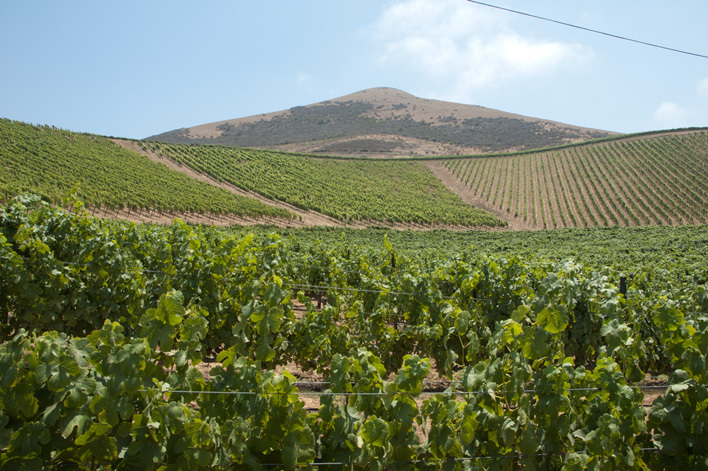 The raw material here at Fe Ciega is so interesting–it has the acidity that is needed for good balance and it possesses a unique vineyard personality that is intriguing. While it is always fruit filled, deeply colored and dense, it is not particularly fruity—this is a wine that speaks of its earthy origins! Much like its famous neighbor to the east, Sanford and Benedict, Fe Ciega is planted on light clay soil over a fractured shale base. 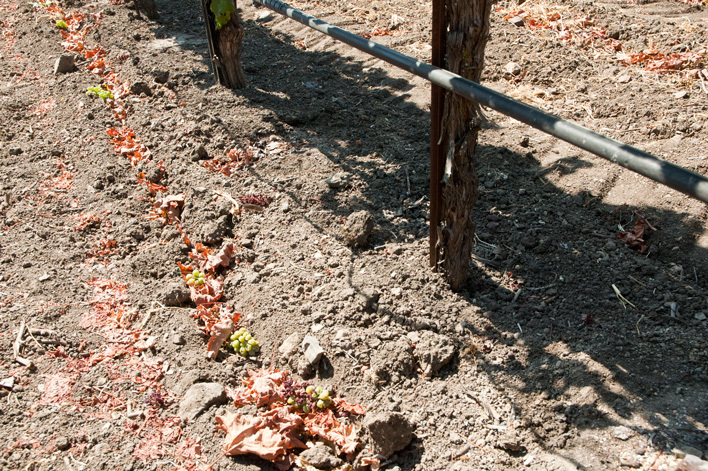 This soil seems to give the grapes excellent acidity and a richness of flavor that is quite satisfying. Rick generously sells me a small amount of each of the three clones he has planted there: Pommard, Dijon 115 and Dijon 667. Background: A few years ago, I was at Jim and Bob’s 50th birthday bash and met up with Rick Longoria. 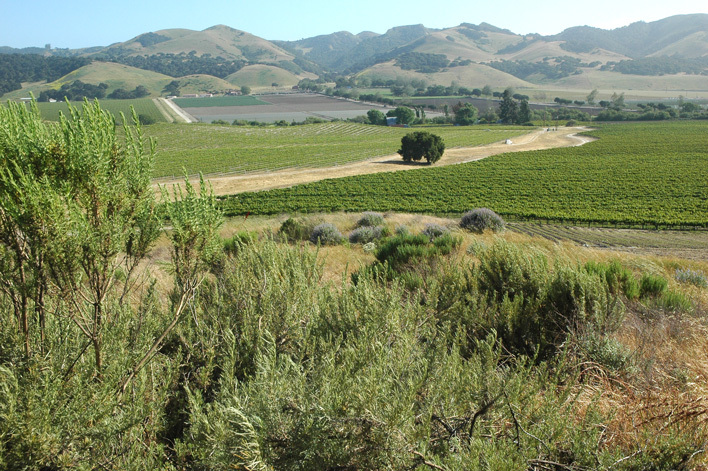 He told me the most amazing story of how, at a luncheon at Sweeney Canyon vineyard, near the western edge of the Santa Rita Hills appellation, he had looked at the lovely hills above and commented to the person sitting next to him that he could see a perfect vineyard site across the way. The fellow said he owned that property, and, not long after, he invited Rick to design, plant and grow a vineyard for him-with Rick the exclusive buyer. 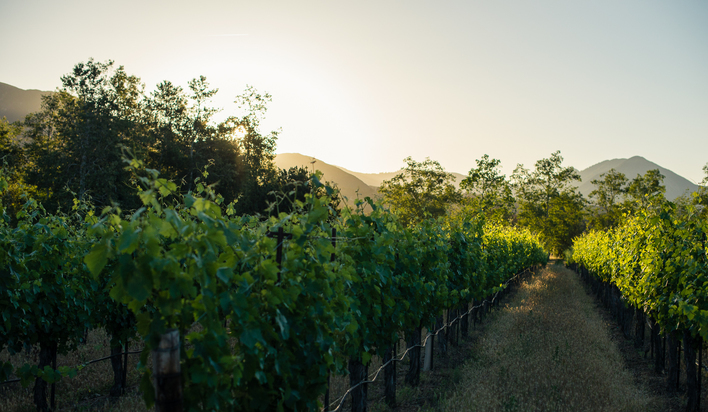 When Rick asked me if I would like to buy a small portion of the fruit, I hesitated (because we already make so many different wines) until I got my first glimpse at the site, which truly is fantastic. 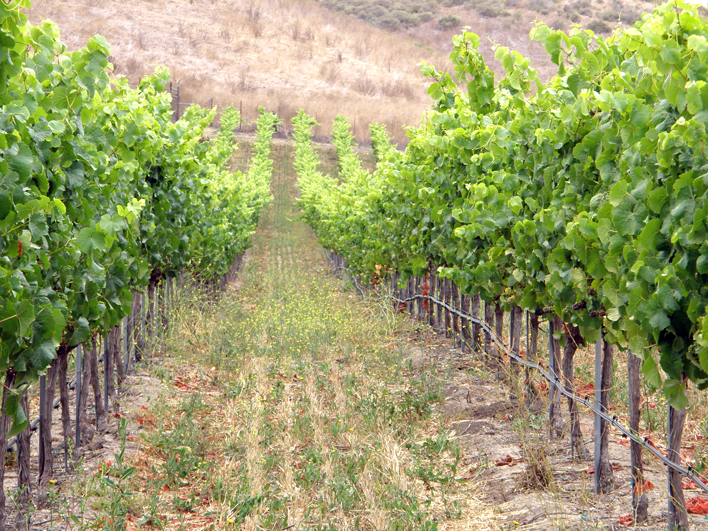 Rick is doing an excellent job farming the vineyard, and I am excited with my first endeavor with it. 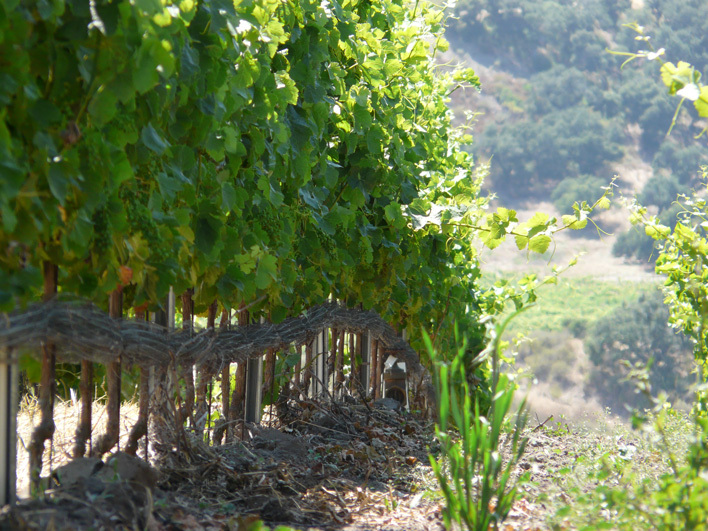 The vineyard name was originally called Blind Faith (from rock music fame), but because the name was already copyrighted, Rick chose the Spanish translation: Fe Ciega. 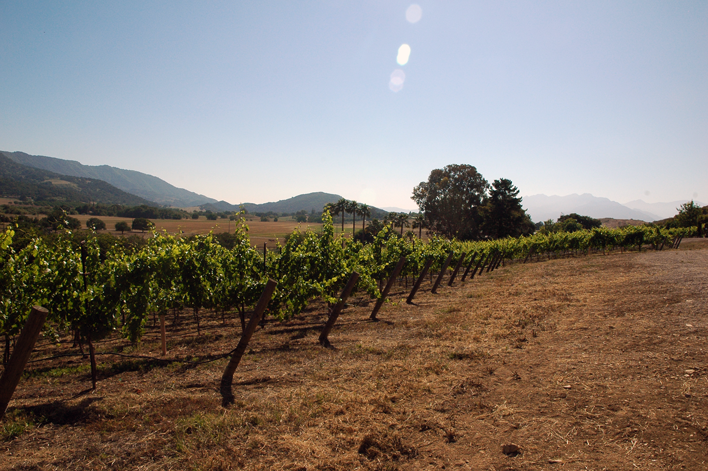 La Cote vineyard, a new site on the far western edge of Santa Rita Hills that we are very excited to work with! 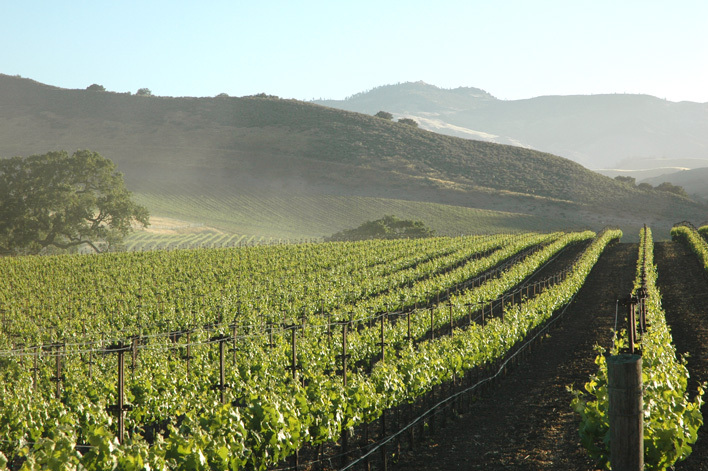 Domaine de la Cote is a new venture of my first employee Sashi Moorman and the esteemed sommelier Rajat Parr near Lompoc. 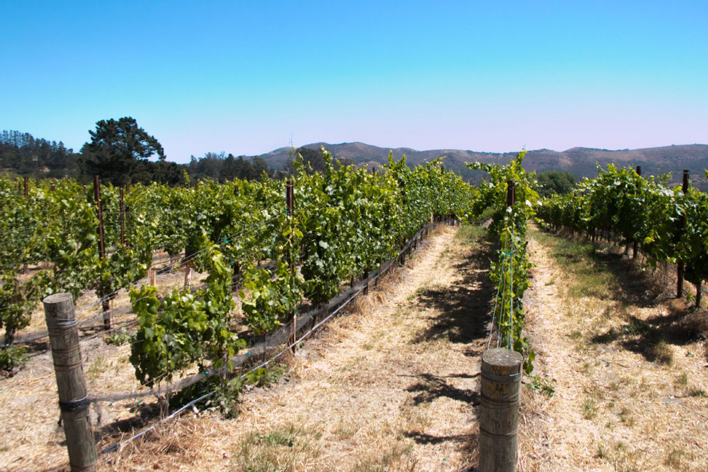 The Property consists of six vineyards planted on clay, diatomaceous earth and shale soils with vines spaced at a very tight five feet by three. 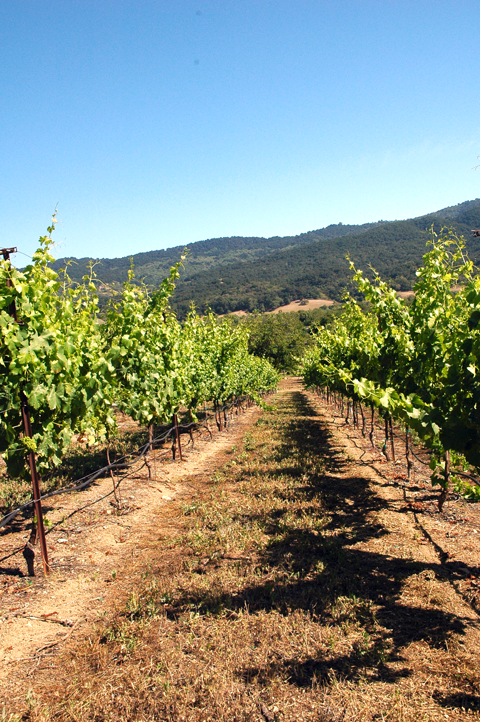 Organically farmed from the start by the talented Chris King, this vineyard has produced extraordinarily unique wines, unlike anything else from the Sta Rita Hills appellation. Sashi and Raj offered me a small amount of the fruit from the interesting La Cote site in 2013 and I didn’t hesitate to take it, having driven by the vineyard numerous times on my way to Fe Ciega. 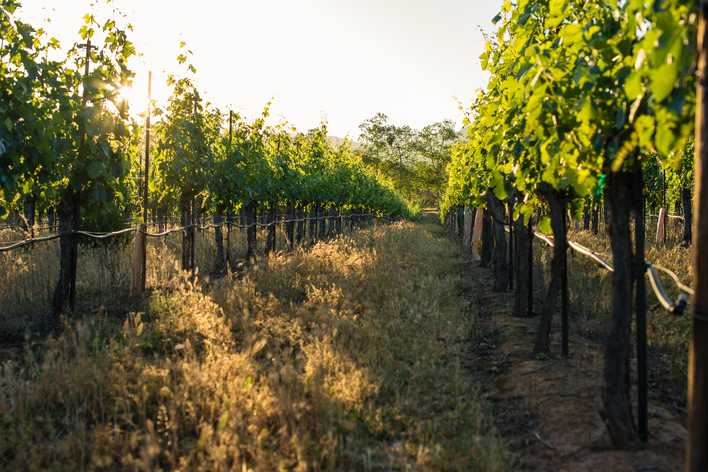 The ideal aspect of the vineyard, the shale and clay soil, the smart farming and close planting of the vines informed me of the seriousness of intent here—I knew the wine made from these vines would be quirky and profound. 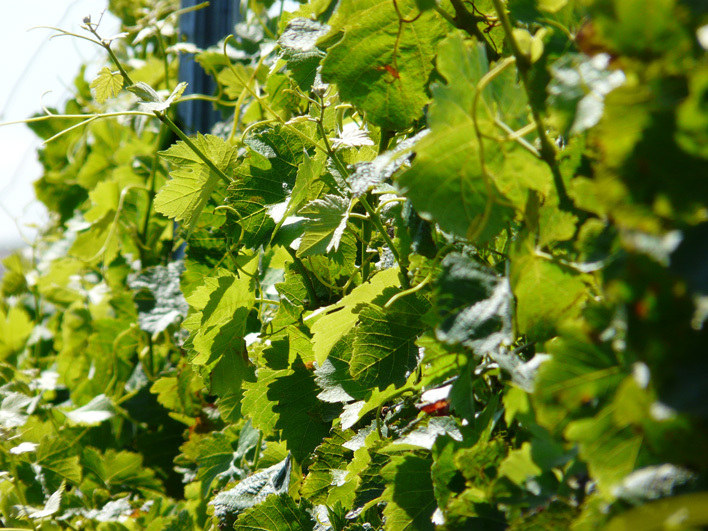 And we produced a wine that is immensely aromatic and at the same time unusually delicate and fine. 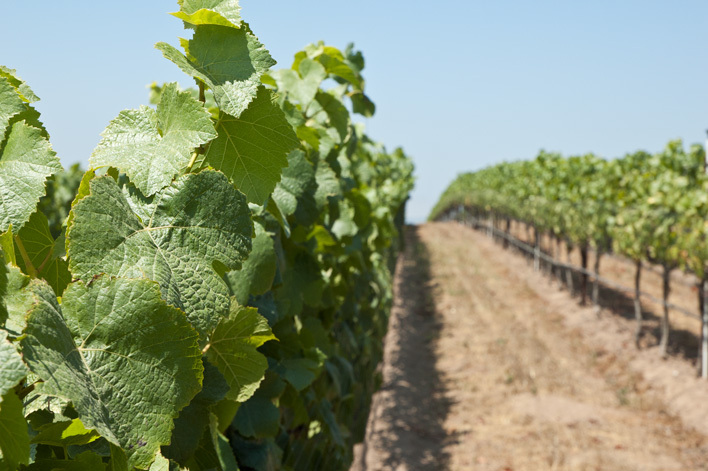 Coastal Chardonnay and Pinot Noir! 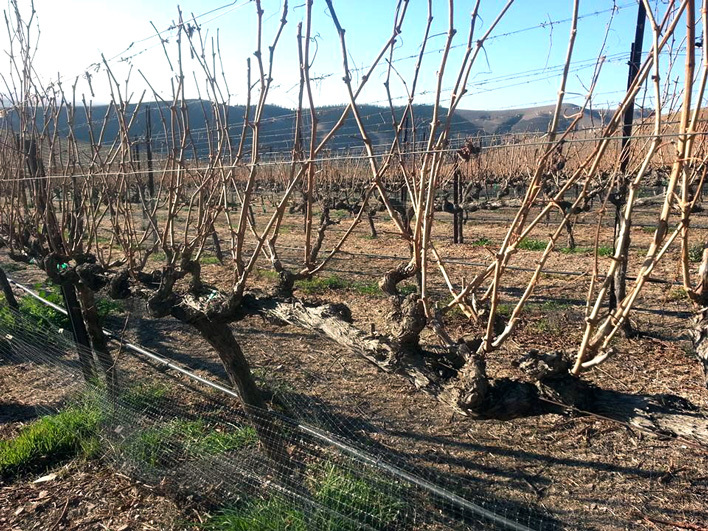 Puerta del Mar is our coldest vineyard. 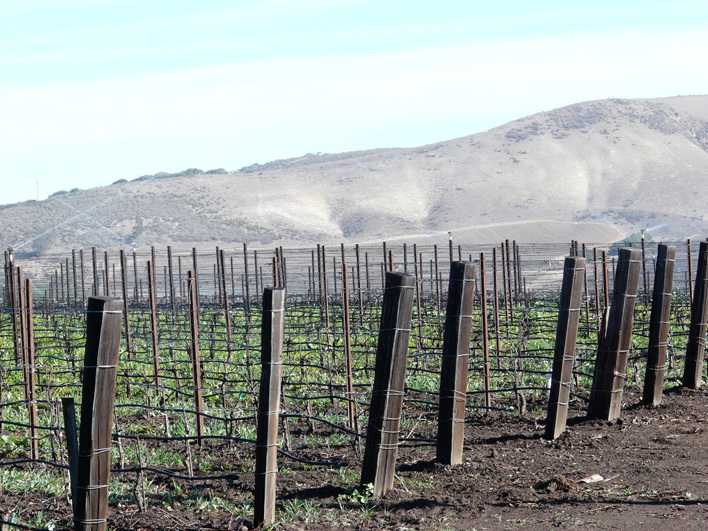 It’s a small and relatively new planting that’s way out by Lompoc—a stone’s throw east of Highway 1—actually West of the already chilly Sta. Rita Hills. 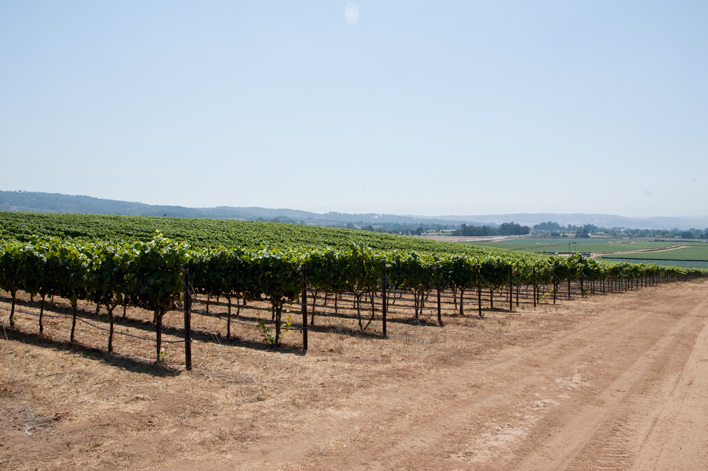 There are six level acres, evenly split between Dijon clones of pinot noir and chardonnay. 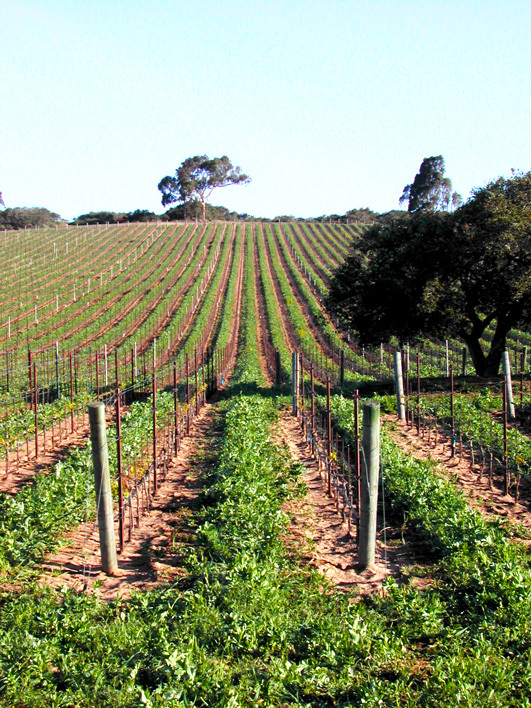 And If I were to win the lottery and plant a vineyard myself again, this is exactly how it would be: densely planted (3 by 5.5 feet) vines trained to a narrow vertical trellis, in a site scoured by cool ocean air. It was planted in 2007 as an investment property by CalPERS, the state employee retirement system. I’m not sure I’d have made the investment, seeing as when the boundaries of SRH were agreed on it was thought that land this far west would be too cold to ripen grapes. But call it ignorance or a changing climate—the nay-sayers were wrong, because the wine has proved it was a fabulous good gamble! 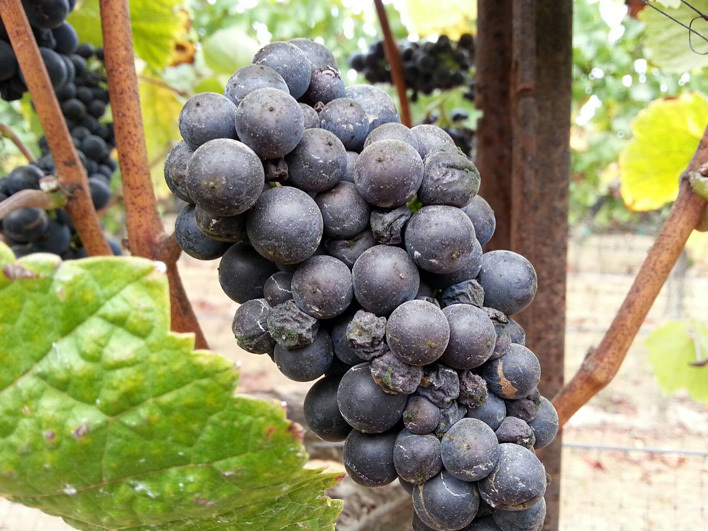 Today the site is owned by the folks at Jonata, but we’re still the only winery that gets this fruit. 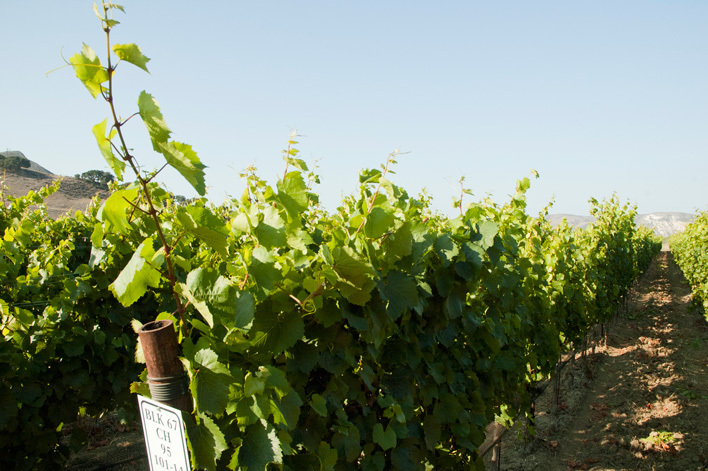 And it’s well farmed thanks to Ruben Solorzano, who farms our John Sebastiano Vineyard fruit and many other top Santa Barbara County sites, and consistently produces exceptional results. One might look at a map and guess this spot to be freakishly coastal, the kind of place from which only a quirky and sinewy wine might be possible. 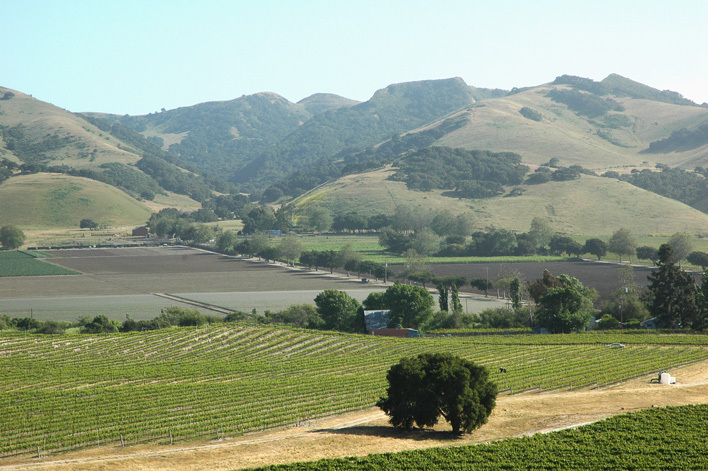 But the vineyard also sits within a bowl-shaped depression, a little dimple of the earth that opens toward the final meandering S-bends of the Santa Ynez River. 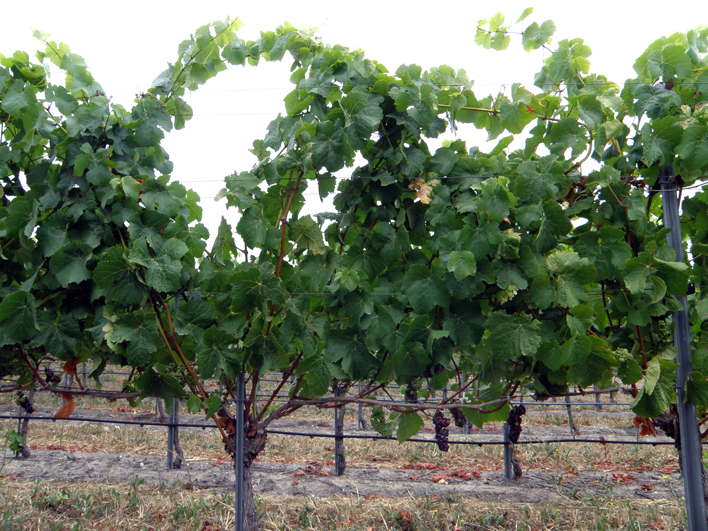 This protects the vines from what would be a relentless attack of cold westerly winds, and allows for some exuberance to develop in the fruit. 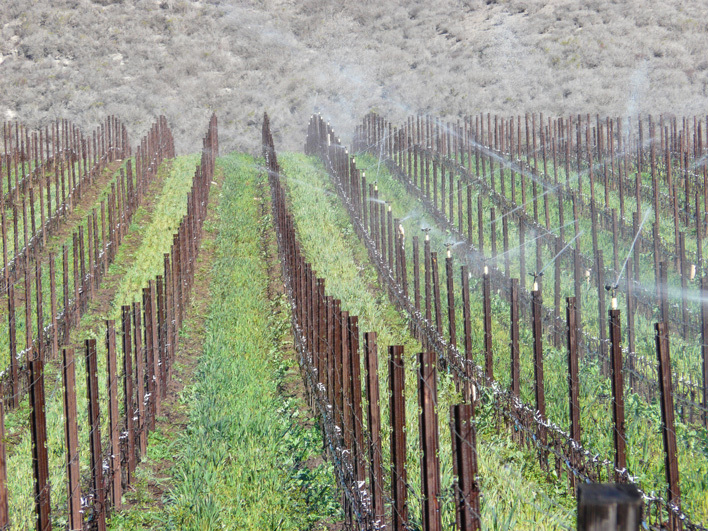 Still, it’s our coolest vineyard. 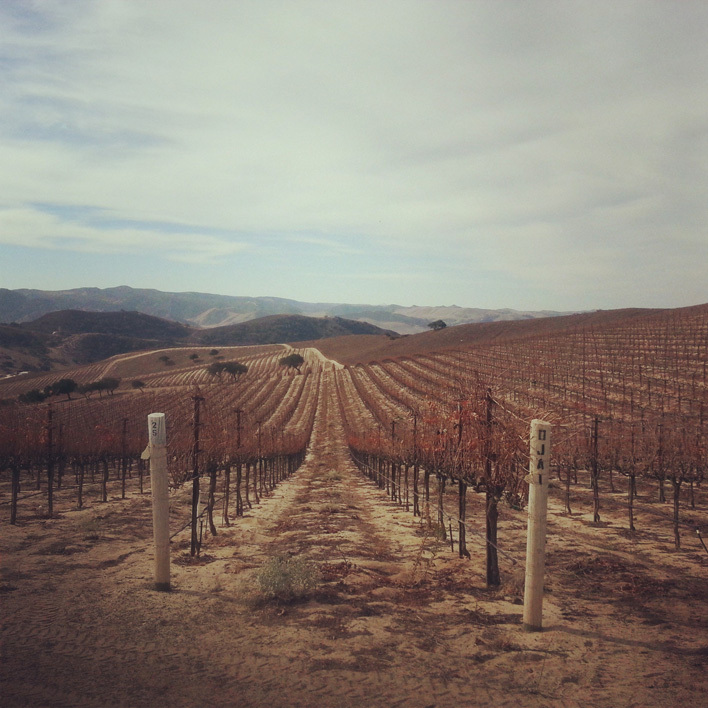 On a day that’s warm in almost every other vineyard in Santa Barbara County, Puerta del Mar is temperate and breezy. 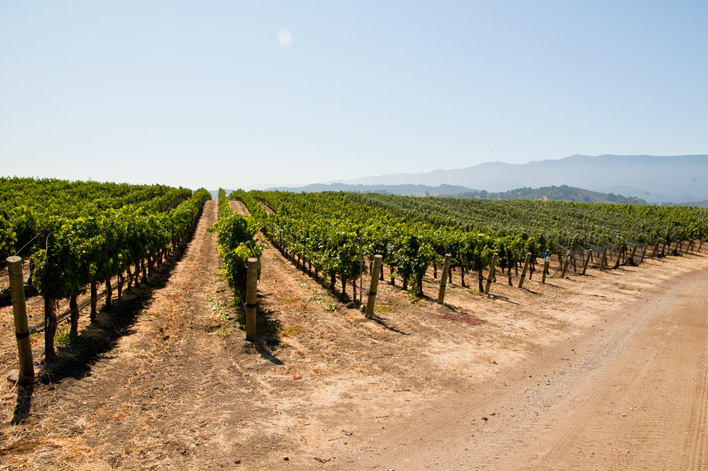 The soils reflect the site’s placement between the Santa Ynez River and Salsipuedes Creek: some clay with lots of rocky alluvial river wash and chunky bits of white shale. 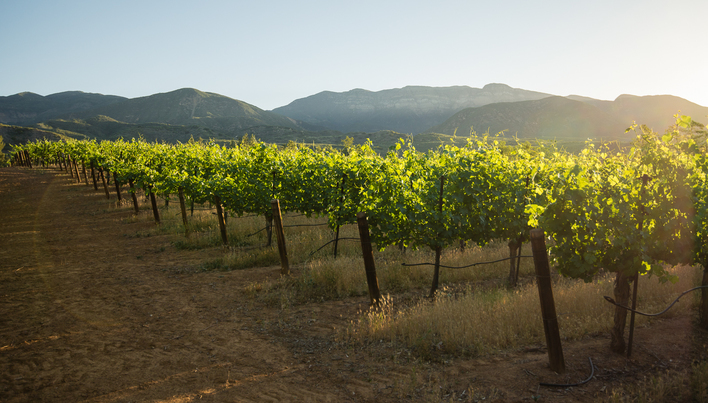 We’ve released five vintages from Puerta del Mar now, and each has a strikingly different profile. Part of why I love cool-climate sites is the vivid expression of vintage that comes with them. What’s consistent year to year is an enticing and exotic spiciness lurking in both the pinot and chardonnay—discrete puffs of crushed cardamom pop up among other layers. There’s also a consistent fineness and subtlety to these wines, which I attribute to the ocean’s ever-present influence. 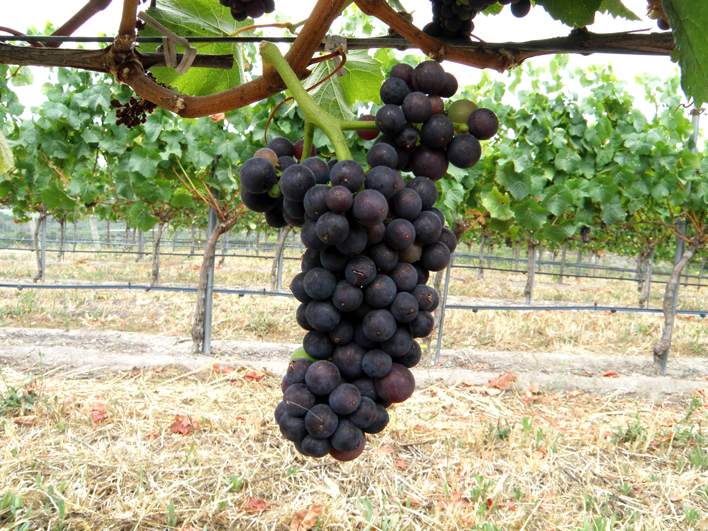 We make A single vineyard Pinot Noir and Riesling along with a Riesling dessert wine. 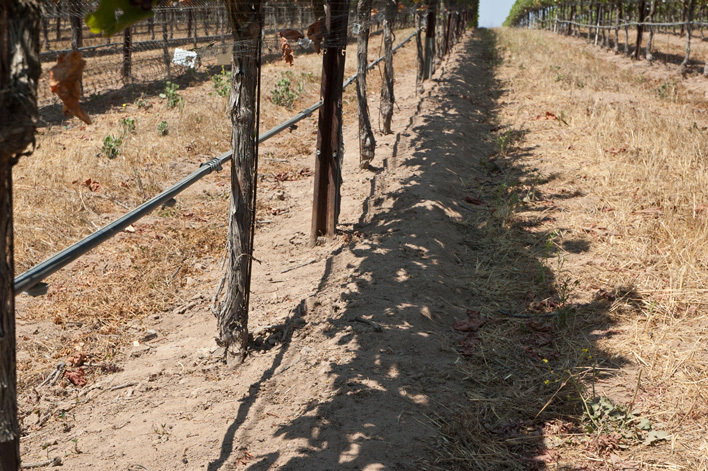 The soils of Kick On Vineyard are composed primarily of ocean floor sandy loams. 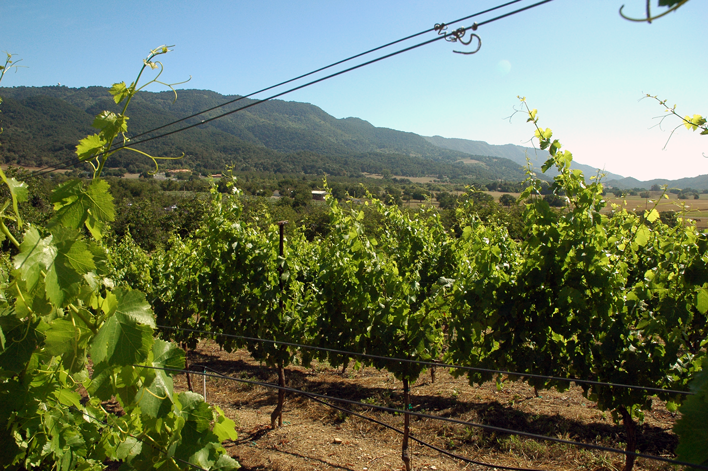 Because it is the most westerly vineyard in the area, it is perhaps the most maritime of all vineyards in this growing region. 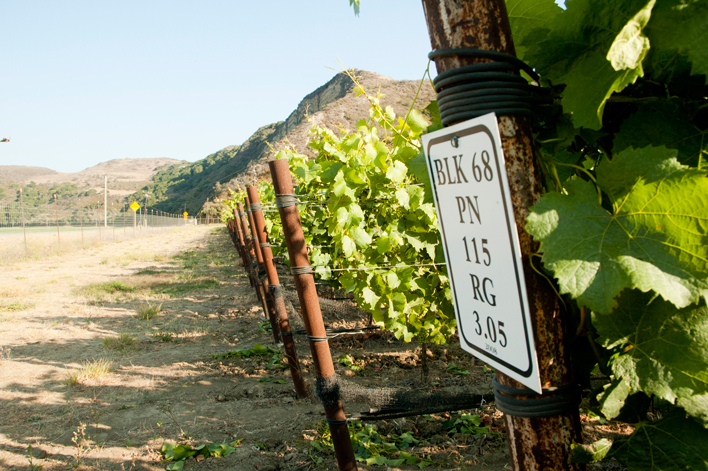 With the Pacific coastline only miles away, a constant maritime influence results in wines of crisp acidity, bright fruit and an inherent balance. Soils are marine-based, and can be variously described as sandy, sandy loams, clay loam, shaley loam, loam or shaley clay loam. 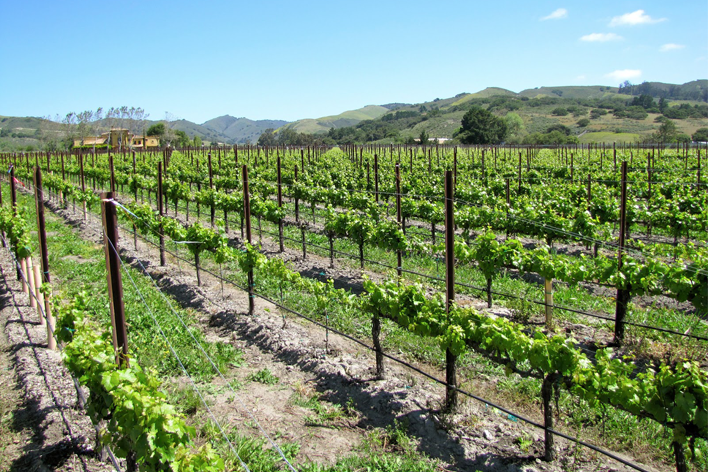 Numerous series of soils exist, but the most common are the Chamise soils, which are, typically, well-drained and rest above deep gravelly beds of silt, clay and sand. 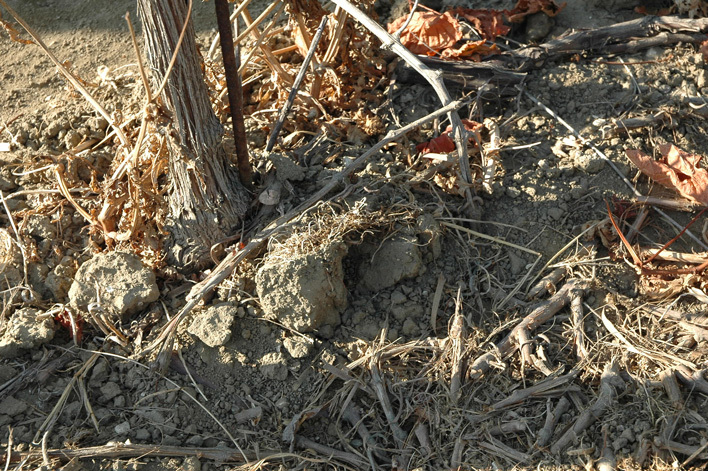 The other soil series that is widely found is the Elder series. 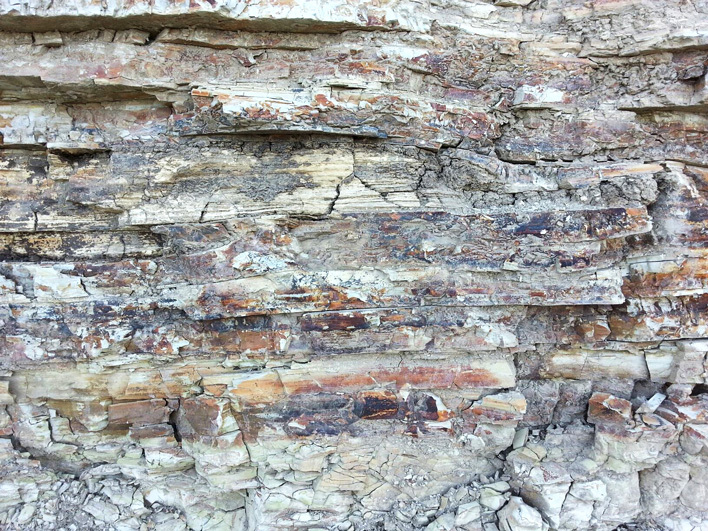 These originated from alluvium deposits derived from sandstone. The Elder series occurs on alluvial fans and in flood plains. 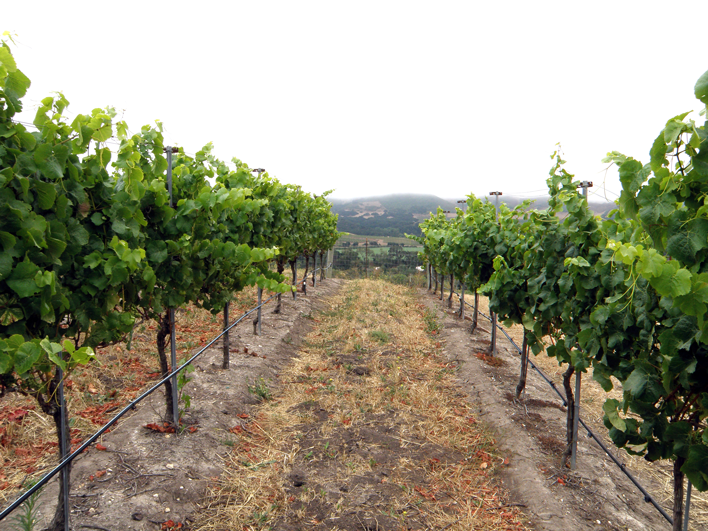 Most of the soils in which vineyards are planted are considered to be of low or moderate vigor. 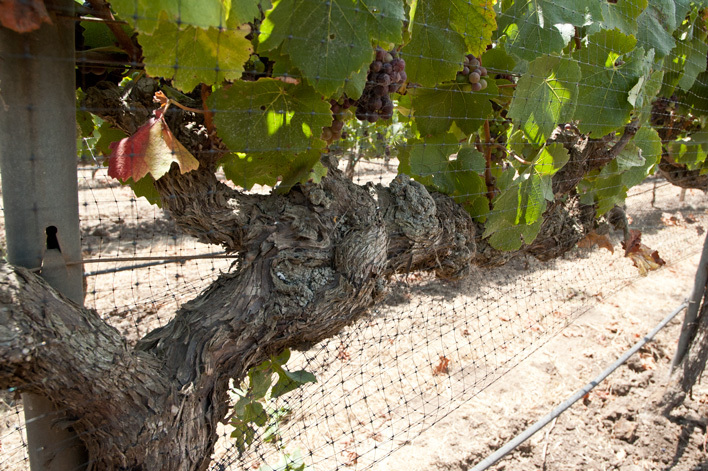 They purposely stress the vines somewhat, resulting in grapes of greater flavor and concentration. 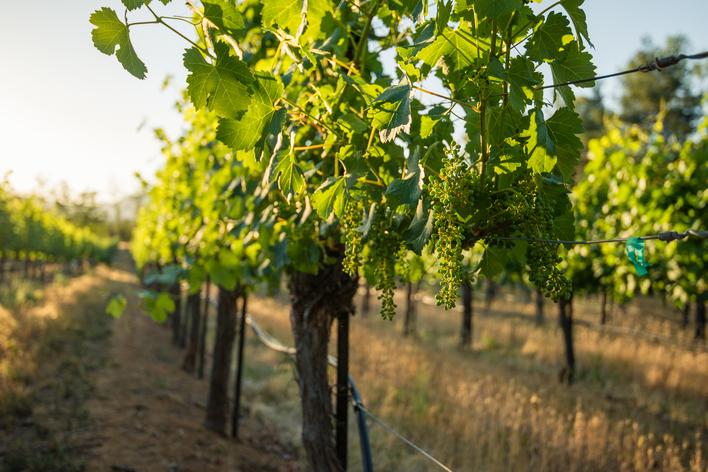 While the yields tend to be low to moderate, the concentration and extraction of the grape materials tends to be intense and quality-driven. 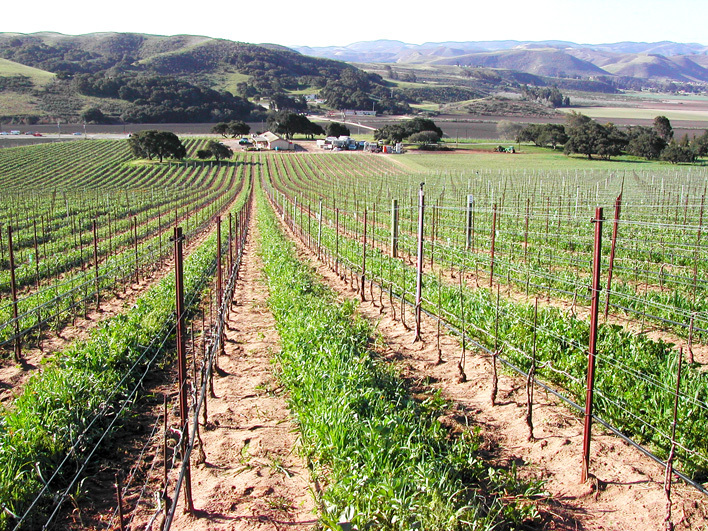 There’s much about Duvarita Vineyard that is unconventional. 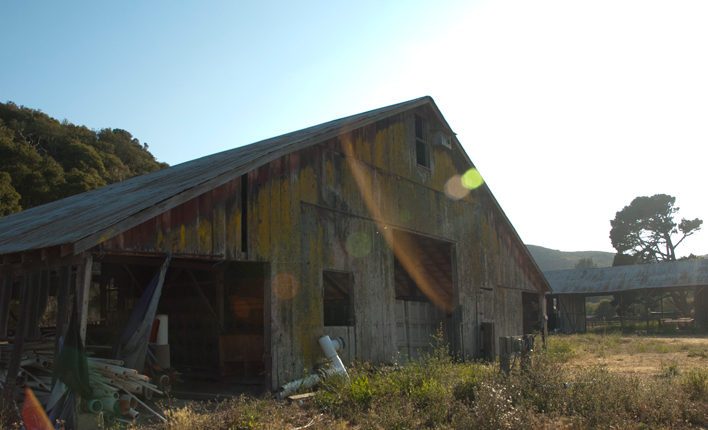 Probably foremost is the farming, where biodynamic practices are employed. This method—basically a mystic’s mash-up of organic farming, astrology, homeopathy, and Wiccan principles—produces fruit that is often compelling and highly expressive of terroir. 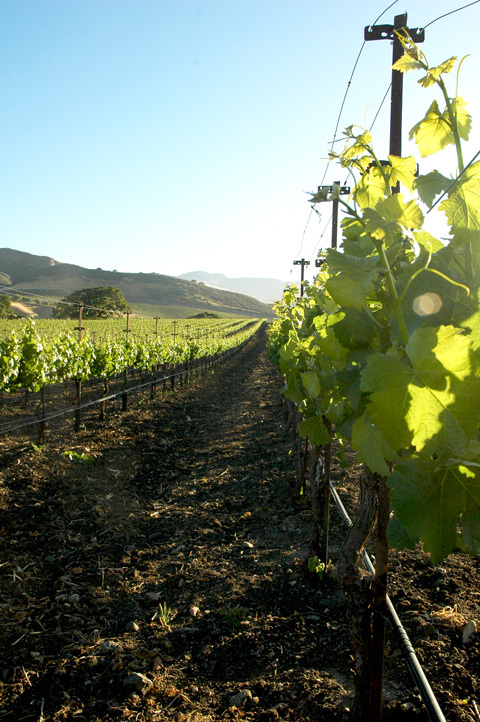 We’ve found this true every year with our Presidio syrahs (the vineyard’s former name), which come from grapes doted upon to the exacting standards of certified biodynamics. 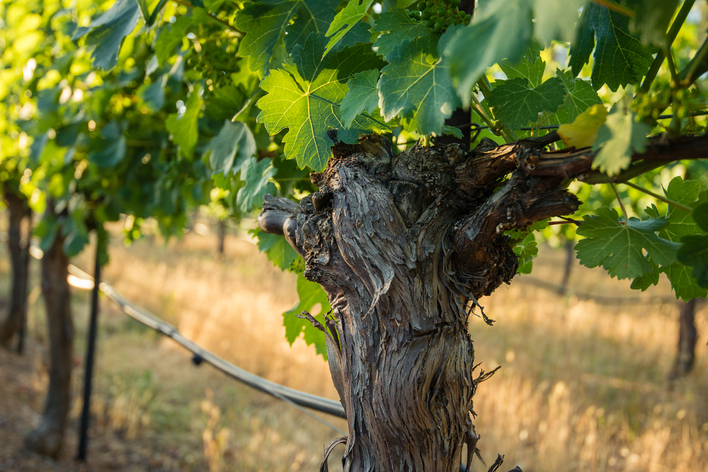 We’re not sure whether to attribute credit to the unseen “elemental beings” that coax the grapes toward ripeness, or simply the fact that so much more time is spent paying attention in the vineyard when farming this way. 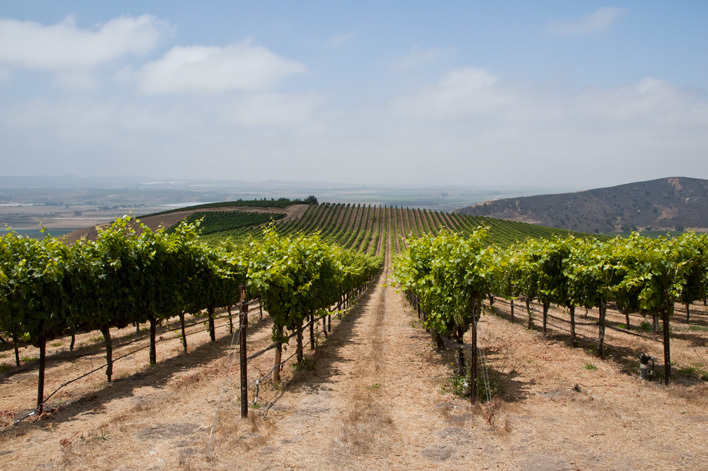 Solomon Hills Vineyard is the most coastal vineyard up in cool foggy Santa Maria Valley. 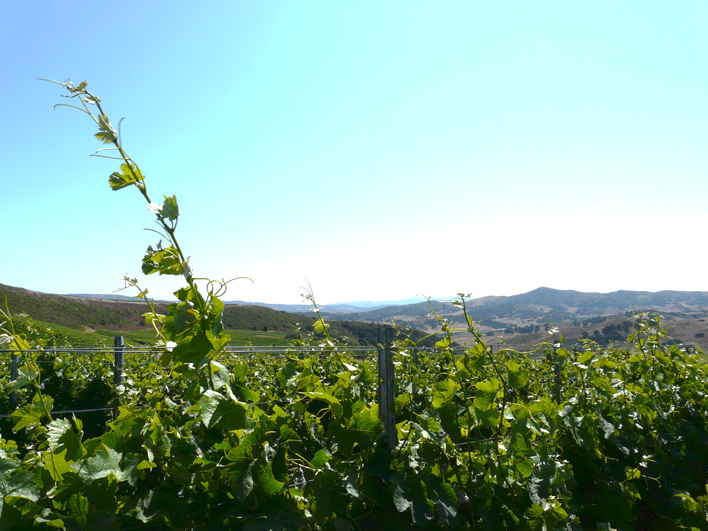 It’s also the sister vineyard to Bien Nacido, so it too is farmed with same doting attention to detail. 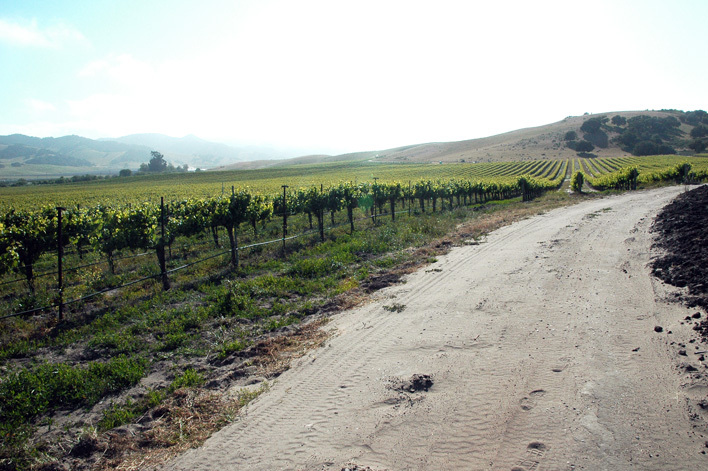 The site consists of a series of gently rolling hills of sand next to Highway 101, at the western edge of the appellation. Being so close to the ocean, Solomon Hills is exceptionally cool and foggy in a region where that is the norm (the Miller family also grows blueberries here, which might give you an idea of the climate). 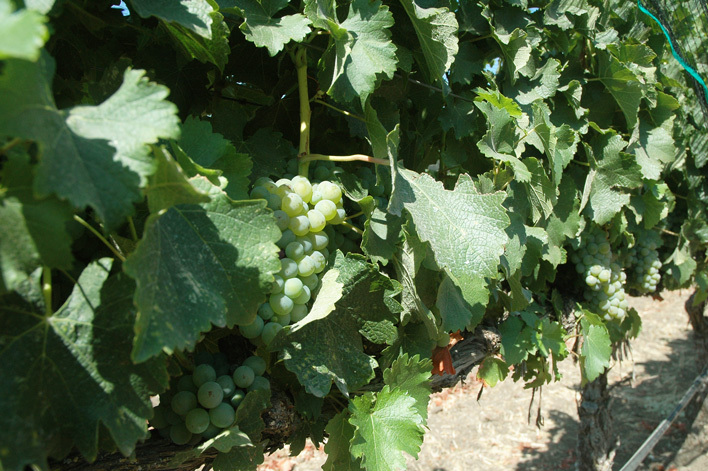 The marginal weather and the extremely poor sandy soils make low yields and intense fruit the name of the game. 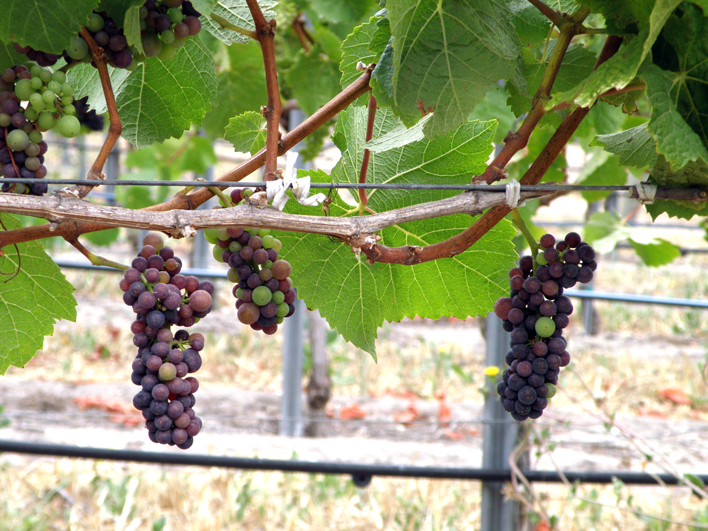 When the vines are flowering in spring the weather is often moist and cool, which makes it difficult to get good fruit set. 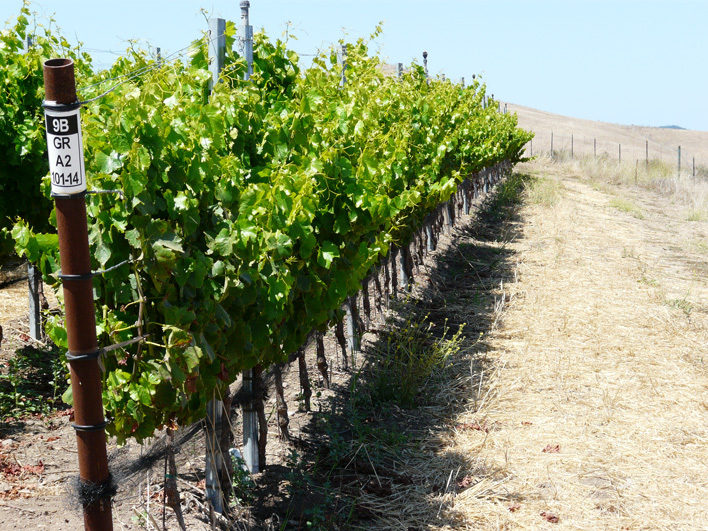 And being planted on nutrient-poor sand means the berries and clusters stay quite small, which is great for making wines with vibrancy and character. 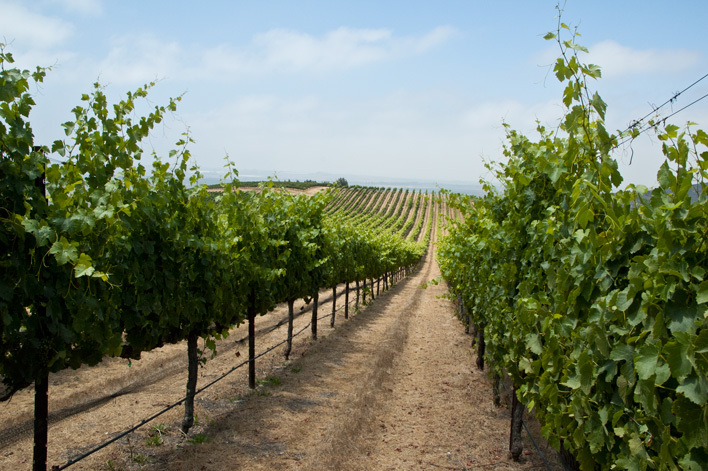 With these influences only Dijon clones make sense for the site, as these clones are better equipped to ripen in chilly vineyards where “California clones” like those at Bien Nacido might give under-stuffed and overly nervy wines. 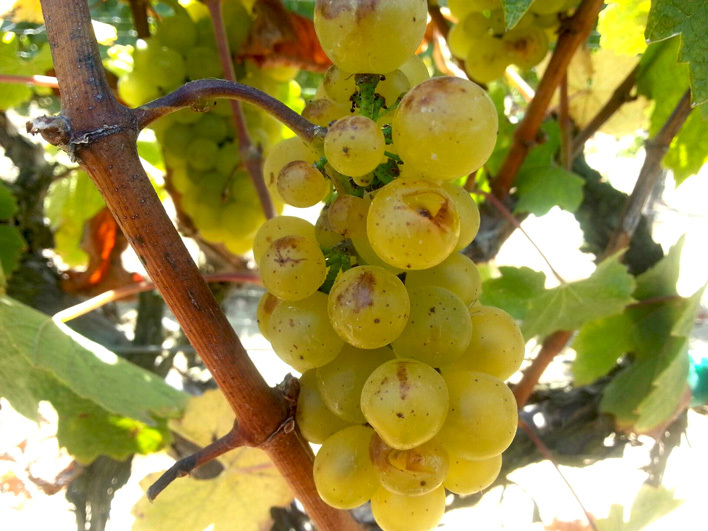 The Dijon fruit benefits from the cool, gradual ripening here. 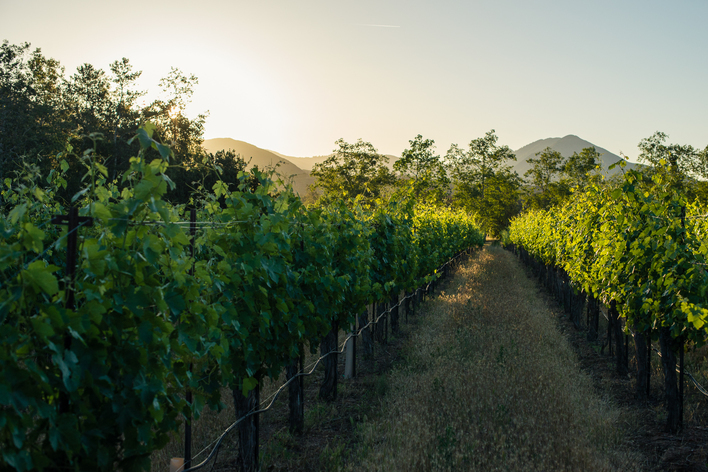 Our wines that come out of this vineyard are always radiant and bold offerings with lots to say, but also elegant and precisely balanced—just a joy to drink!